Multi-tasking just got better. Stunning visuals and IPS widescreen technology in a bold new micro-thin, bezel-less design. 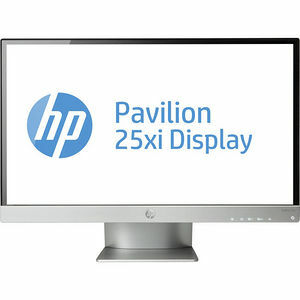 Share photos, videos, and games with everyone in the room and experience the same great views from almost any angle on the all new HP Pavilion 25xi 25-inch IPS LED Backlit Monitor. Incredible performance, vivid colors and smart HP Display software sweeten the deal.